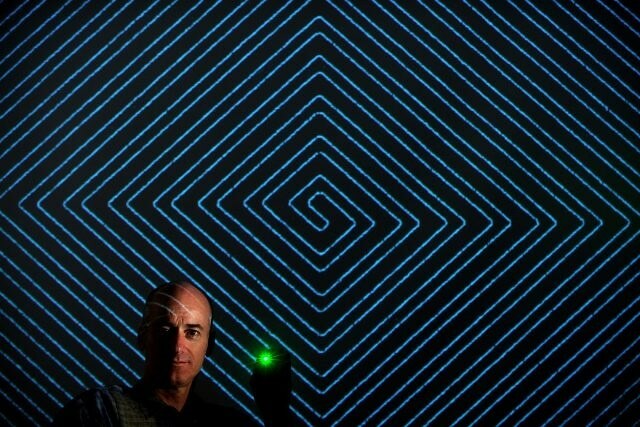 Researchers from the University of California, Irvine, have developed a nanowire-based battery material that has the potential to be recharged several times, bringing us closer to commercial batteries with a prolonged lifespan for spacecraft, cars, appliances, smartphones, and computers. Scientists have long been attempting to utilize nanowires in batteries. These nanowires are thousands of times thinner than a strand of human hair, they are very conductive and have a big surface area to store and transfer electrons. However, the filaments are very delicate and lack the potential to remain strong during repeated discharging and recharging, or cycling processes. This issue has been solved by UCI researchers who coated a gold nanowire in a manganese dioxide shell, and then covered the assembly in an electrolyte made up of a Plexiglas-like gel. This combination is resistant to failure and reliable. UCI doctoral candidate Mya Le Thai, heading this study, cycled the testing electrode for almost 200,000 times over a period of three months without observing any loss of power or capacity and also without causing any damage to the nanowires. The findings were published in the April 20th issue of American Chemical Society’s Energy Letters. Senior author Reginald Penner stated that hard work along with luck led to the success of this case. Mya was playing around, and she coated this whole thing with a very thin gel layer and started to cycle it. She discovered that just by using this gel, she could cycle it hundreds of thousands of times without losing any capacity. That was crazy, because these things typically die in dramatic fashion after 5,000 or 6,000 or 7,000 cycles at most. The researchers believe that the metal oxide is plasticized in the battery by the goo, which also provides it with flexibility, preventing cracking. The coated electrode holds its shape much better, making it a more reliable option. This research proves that a nanowire-based battery electrode can have a long lifetime and that we can make these kinds of batteries a reality. The study received financial support from the Basic Energy Sciences division of the U.S. Department of Energy. It was supported by the Nanostructures for Electrical Energy Storage Energy Frontier Research Center at the University of Maryland.